On one of those rare days when conductor Enrique Mazzola can step away from the world’s opera and concerts stages for a brief retreat to his home base, the rolling hills around Montepulciano in Tuscany, you might find him skimming the countryside in his black Porsche Cayman S – a serious automobile, meaning one with a manual transmission. Italians, says this native of Naples, do not regard driving with an automatic transmission as driving at all. 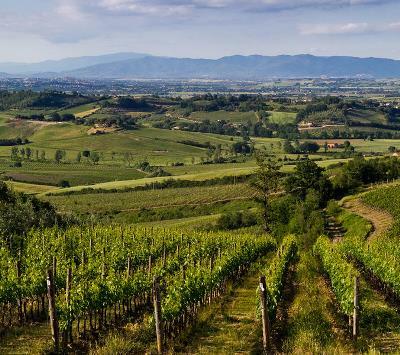 Mazzola’s cruising route takes him past Roman ruins and medieval castles, ancient woods and sprawling vineyards that provide grapes for the 70-plus producers of the regional wine of pride: Vino Nobile di Montepulciano. Very likely, Mazzola will stop to visit winery owners. He has, after all, a special connection with them. 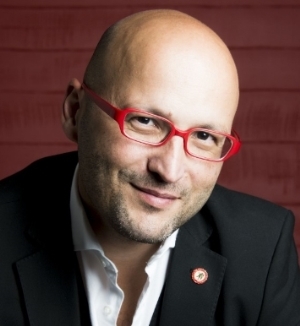 This globe-trotting maestro of parts, in Chicago to conduct Donizetti’s “Lucia di Lammermoor” at the Lyric Opera, is the Vino Nobile consortium’s official international ambassador. Cool, you think. Then comes the inevitable question: How did that happen? Mazzola has a disarmingly logical answer. Mazzola made that Montepulciano connection wearing his conductor’s hat, back in 1999, when he began a five-year stint as director of an arts festival in Montepulciano and eventually put down roots there – anyway, to the extent that he has roots anywhere. He’s now music director of the Orchestre National d’Île-de-France and continues to make guest appearances with orchestras and opera companies everywhere. Like any good ambassador, he talks up his home ground at any opportunity. The word Mazzola works to spread concerns a Tuscan wine made primarily from Sangiovese, the same basic grape of both Chianti and Brunello di Montalcino. Yet it’s safe to say that Vino Nobile di Montepulciano is far less familiar to American wine lovers than either of its popular siblings, an inequity that surely owes more to cachet than quality. As Mazzola notes, the typical Vino Nobile is a big wine of engaging complexity and a deep core of dark fruit flavors. And like its closest kin, Chianti Classico, Vino Nobile at its best has some aging potential. Mazzola’s eyes light up when he points to the natural pairing of Vino Nobile with what he views as the centerpiece of American cuisine. But never mind the rich flavors or the characteristic long finish – “a critical part of the experience” – Mazzola says a Vino Nobile wine will get you at hello.